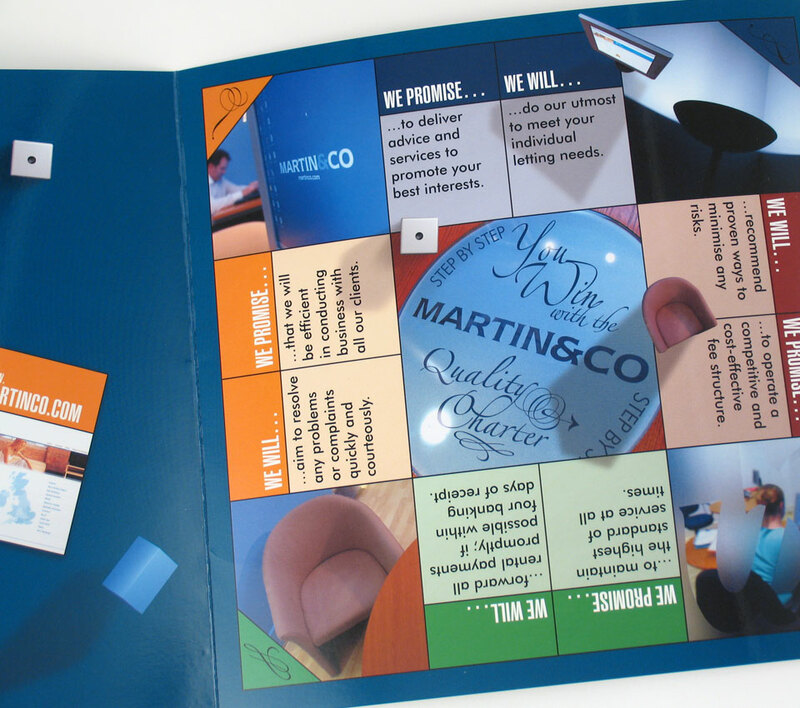 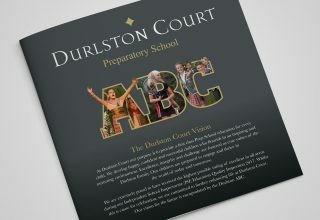 When Tinstar started working with Martin & Co Letting Agents, this brochure design was the first project to be completed. 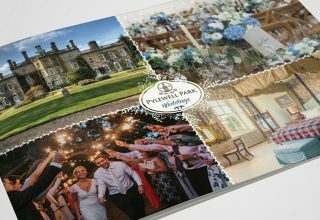 At the time the client was on the verge not of a re-branding, but of a concerted effort to consolidate all the marketing material produced by head office as well as the large national network of franchisees. 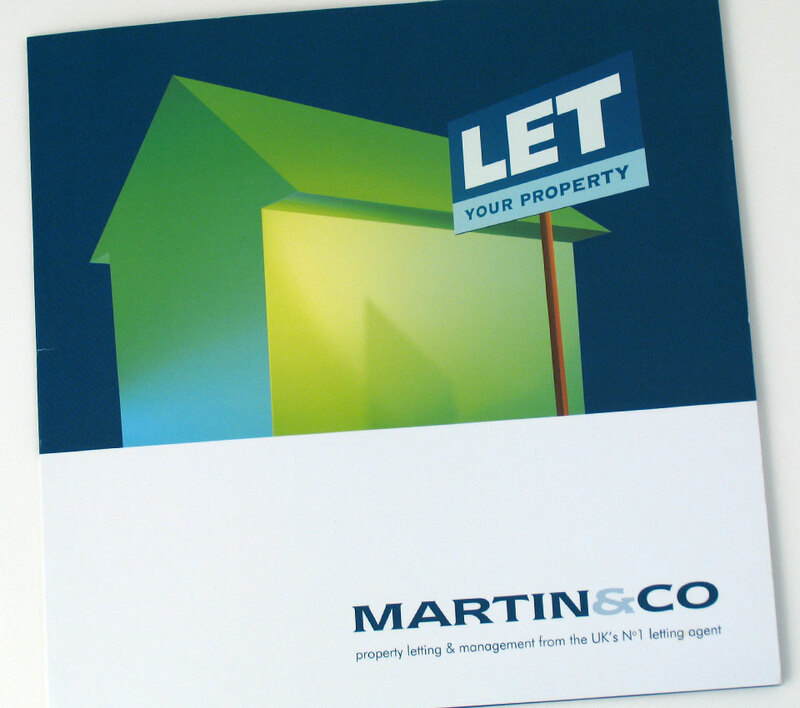 This brochure was targeted at new landlords needing guidance in the property letting process. 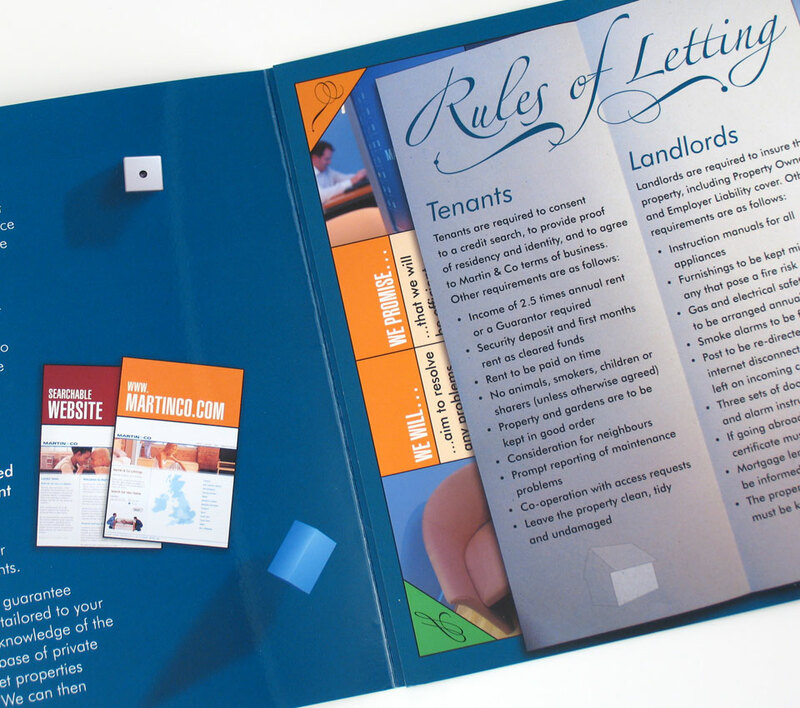 Influenced by the iconic Monopoly game, the brochure was presented as a similar property game in order to convey the message that although there were no guarantees in property letting, a step-by-step, considered and experienced approach by a Martin & Co letting agent would ensure the best possible outcome for the landlord. 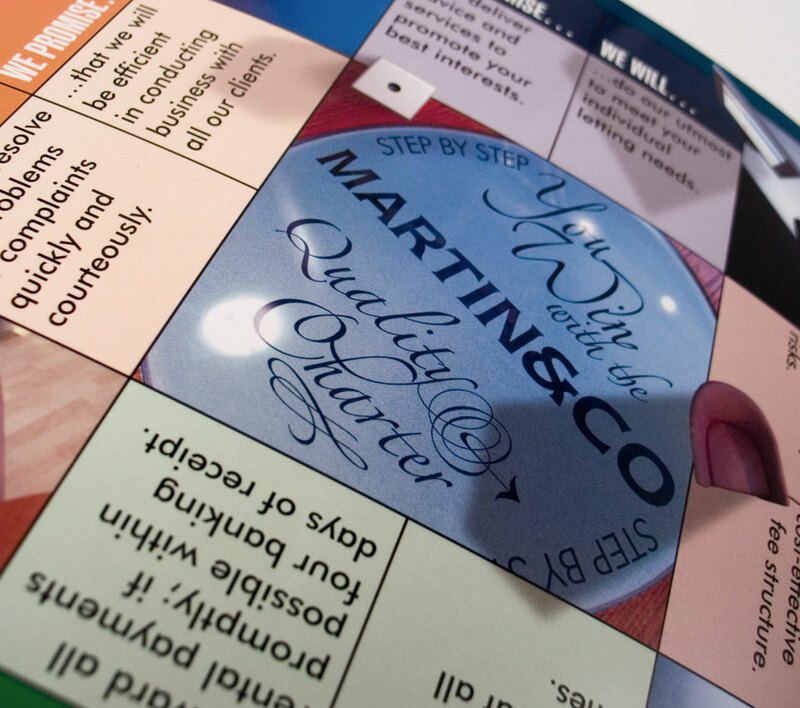 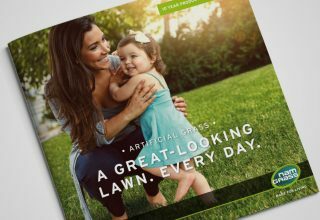 Born out of this project was the concept of using a stylized green house as a graphic element to support and complement the existing Martin & Co logo.